For me PJ Harvey has always been a hit or miss come each new album. She really is a talented individual and can mix things up on each album. With the new album 'Let England Shake' she really brings a whole new game to her music. On the track 'Written On The Forehead' PJ has that humble voice that can almost hypnotize you and that being combined with her intense lyrics you are left thinking and pondering. I really like the background vocals on this track as well and the "Let it Burn" lyrics really tie this song into the whole album. I will be back in a few days with a full review of Let England Shake but for now enjoy the 'Written on the Forehead' track. 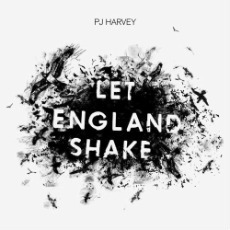 yesssssssss PJ Harvey is back.